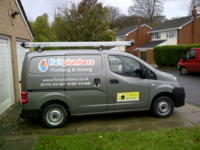 FIX It Plumbers, is a local, trusted and reliable plumbing company headed up by David Lawrence, we provide all the services that you would expect from a local gas safe plumber. With an enviable reputation for punctuality and cost effectiveness, FIX It Plumbers have become the first choice for boiler repair and boiler servicing & installations whilst delivering first class customer service. No fuss, just a good job well done at a reasonable price. Will definitely ring again for next service. Details already passed on to friends and relations. I have used David for the last number of years and have had prompt service every time. He works cleanly and efficiently and explains any issues clearly, highly recommended. I left a message when I initially contacted the company. They returned the call very quickly, helped diagnose the problem over the phone and fitted a replacement unit (shower) the same week. Price was good. My only slight gripe was I had to chase a couple of times for a confirmed install date, which I believe was down to the lead-time for the parts from his supplier. I'd recommend them wholeheartedly. I would recommend Mr Lawrence to anyone - he is professional, trustworthy and reliable. He is always on time and his work is of excellent standard. David Lawrence a hard working, polite engineer who installed our new boiler efficiently & without too much fuss.